I was contacted recently by the producer of a local NRP show, the Sound of Ideas, about being on a panel of experts to discuss how to live frugally. Before I could answer her question, I told her that I needed to define some terms. Which leads me to the point of this post: What are some of those little decisions that you can make in order to save (intentionally) in a big way? Get rid of our landline. We switched to a VOIP option 5 years ago and haven’t looked back. Until now, when I calculated our savings over the last 5 years. Roughly $2000, or $35 per month. And that’s a conservative estimate. Use Wifi, not Data, for non-essential apps on my smart phone phone, including YouTube, Facebook, and any and all games my children have downloaded to my phone. I also turned off WiFi Assist last year, which saved me a bundle. I keep my data as low as possible this way – saving about $35 a month for our two phones over the next data level. Menu plan. 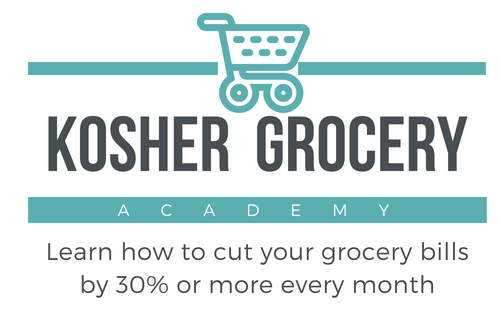 More than couponing, more even than cooking for scratch, menu planning has been the best way to keep our grocery spending under control. In the months that I menu plan, we spend on average of $120 less than the months that I don’t menu plan. ‘Nuff said. Did you find this post helpful? Let me know and I will be happy to share more of my savings strategies. I’d love to include your suggestions tips for small ways to save big as well. Please share in the comments! Buy fresh produce at ethnic grocery stores (Mexican, Asian, Middle-eastern, European – whatever you have) rather than supermarkets. It is always cheaper for the same ‘conventionally-grown’ stuff. Yes, I’ve come across some of these tips over the past year almost by accident. It’s so helpful to share the knowledge when you have it. Switch to a no-name phone carrier. We have the same network as AT&T, but for $65 less. Buy clothing at the end of the season for next year. Such great tips. Thank you Mara. I know it’s obvious, but so many people just throw out the weekly flyers for the local stores. I wont shop in every store that has sale items cuz my time and gas is also valuable, but I decide each week where Ill shop based on who has the best *most needed* things on sale. I also shop on Wednesdays because the stores have double ad day ie double the sale items. Swallow your pride and buy store brands for certain items. I’ma brand snob but have lately started going generic on certain things (like pasta) that are consistently cheaper than the name brands even on sale. I’ve even gone generic on babywipes (aldi brand) as they are significantly cheaper than anything else, including a box from costco.